If you're looking for a stylish, light-weight pair of sunglasses the Guess GU7303 sunglasses are just that. 100% UV protection prevents damage to your eyes from excessive sun exposure. 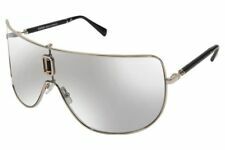 Metal frame features oversized lens, light-weight design. 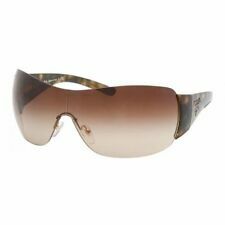 DG Eyewear Shield One Lens Sunglasses with Ajustable Nose Pad. LENS COLOR : Honey Faded into Clear Gradient Tint. STYLE: Contemporary / Modern Shield Style. LENS TECHNOLOGY: Polycarbonate (Shatter Proof). LENS EFFECT: Flat. ONE MICROFIBER CLOTH CASE IDEAL FOR LENS CLEANING. STYLE: Contemporary / modern Shield Style. PROTECTION: UV-400 (100% UV Protection). ONE MICROFIBER CLOTH CASE IDEAL FOR LENS CLEANING. LENS COLOR : Ombre (Multi Color). FENDI SUNGLASSES. No other parts, components or accessories. What you see in the photos is what you will receive (The case may vary). Wrap Around Large Oversized Black Sunglasses. HINGE TYPE: Regular. ONE MICROFIBER CLOTH CASE IDEAL FOR LENS CLEANING. LENS COLOR : Smoke Gradient Lens. 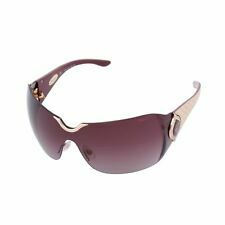 Women's Rocawear R578-RGDBL Shield Rose Gold Frame Fashion Sunglasses! New!